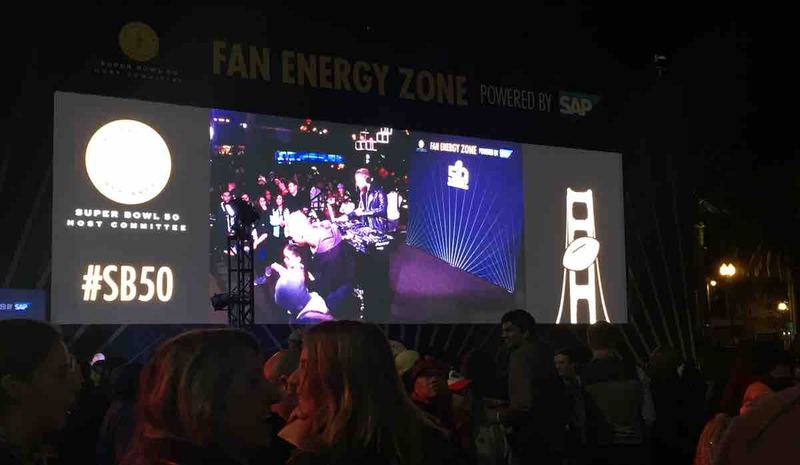 If you missed our previous posts about social media campaigns at SuperBowl 50, check it out here "Social Media Campaigns at SuperBowl 50" and "Social Media Campaigns at SuperBowl 50 (Part 2)". So how exactly do you manage all the social media content generated during the run up to Super Bowl 50 and through several city wide events? 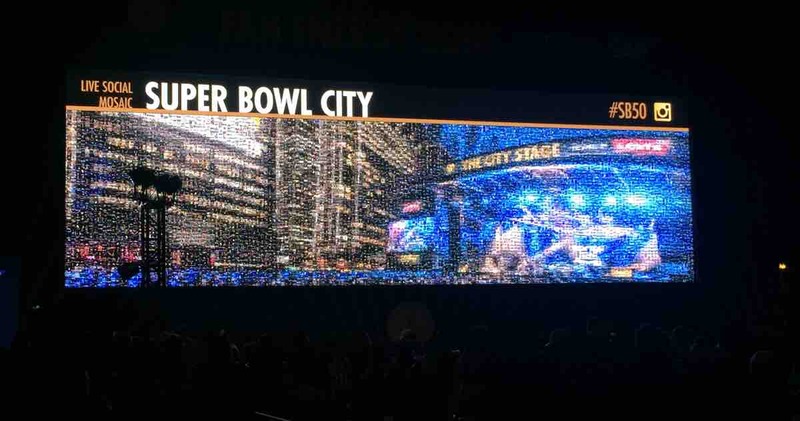 The digital agency that was assigned this monumental task had the assistance of a massive Social Media Hub Control Center located in SuperBowl City. 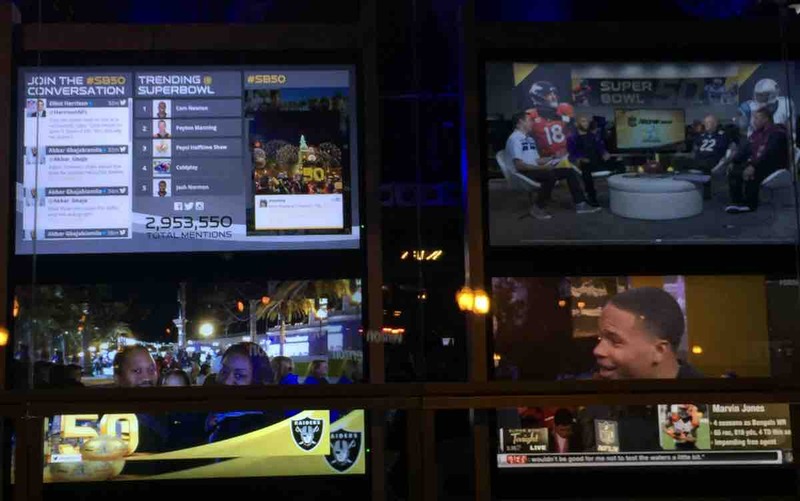 Any fan walking by could see the massive command center filled with monitors showing all the social media happening in real time. It was quite an amazing sight. 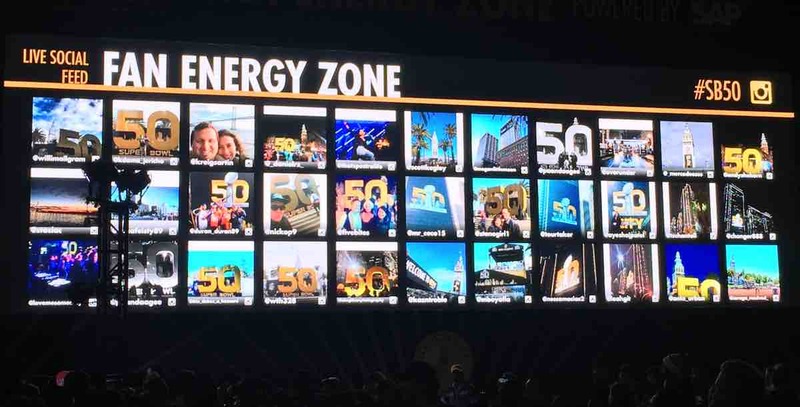 This was further amplified by the huge screen at the heart of the action where several different visualizations were used to show the fan activity. Figure out which Hashtags, Accounts, or Keywords that your fans will be discussing and create monitors to listen for these things. Any pre-event marketing campaigns can help guide the fans to use appropriate hashtags or include appropriate account handles. Have your tools ready to immediately collect all the activity that's happening around your event. Showing posts hours after they've occurred doesn't produce the same excitement and engagement as showing fans their posts as soon as they've posted it. We've seen it time and time again, once fans can see themselves on the big screen, the engagement goes through the roof. It's a continual feedback loop, engage your audience by showing their pictures and voices on your wall, and they'll continually post and talk about your brand. You don't need a 6 figure budget to effectively engage your audience on social media for a large event, follow these general principles and you'll see your engagement numbers soar.